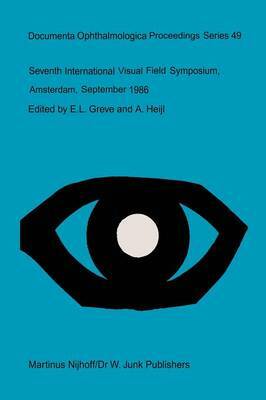 The Seventh International Visual Field Symposium organized by the Interna- tional Perimetric Society was held in Amsterdam, The Netherlands, September 6-10,1986. In many respects it was an exciting and fruitful meeting. The number of participants was greater than ever. The number of papers was too great to accommodate all of them. The quality of the papers reflects the continuously rising interest in perimetry in general and in automated perimetry in particular. Last but not least the social programme was organized in the, by now, almost classical friendly, enjoyable and humouristic style of the International Perimetric Society. This created an atmosphere of openness and free exchange of informa- tion whICh was clearly also felt in the scientific sessions. The scientific part was divided in seven sessions with 44 spoken papers and a separate postersession during which the 46 posters were discussed. The major themes of the meeting were 'The influence of media-disturbances on the visual field' and 'Advances in perimetry in glaucoma with special emphasis on pro- gression'. The session on 'media' provided interesting information on how the visual field was effected by preretinal filters. The authors either studied the influence of lens- or corneal opacities or simulated opacities by special filters placed in front of the eye. In two papers the effect of cataract was qualified by photography or stray- light measurements.